RIOJA ALAVESA WINE ROUTE, TAX NUMBER (C.I.F. ): G01387554. ADDRESS: Calle Mayor 68, 01300 Laguardia, ALAVA. TELEPHONE: 945 600 710 FAX: 945 621 094 E-MAIL: info@rutadelvinoderiojaalavesa.com. 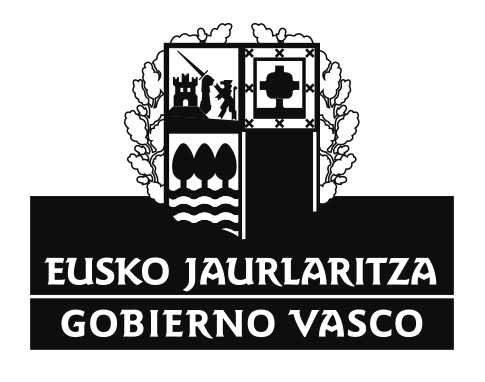 Registered in the ASSOCIATION REGISTER OF BASQUE COUNTRY, with the registration number AS/A/11958/2005. In general terms, the relationship between RIOJA ALAVESA WINE ROUTE and users of this website derived from the use of this website are under the jurisdiction and legislation of Spanish Law. This website has been created by RIOJA ALAVESA WINE ROUTE for purposes of informing the public. By accessing and using this website, you (the “user” or “you”) accept and agree to the following conditions without any limitation or qualification. Access to this website is the sole responsibility of the user. Access to this website in no way implies any commercial relationship between RIOJA ALAVESA WINE ROUTE and the user. Access to this website means the acceptance of the terms and conditions contained herein. The information on this website is correct as of the date of its last update. RIOJA ALAVESA WINE ROUTE reserves the right to update, modify, or eliminate the information contained in this website, and may limit or deny access to this website. • RIOJA ALAVESA WINE ROUTE reserves the right to introduce, at any time, any changes or modifications to this website that may be necessary, and to the information contained herein without notice. • RIOJA ALAVESA WINE ROUTE makes every effort to ensure that this website and its contents are reliable, but inaccuracies may occur. • RIOJA ALAVESA WINE ROUTE does not take any responsibility whatsoever for any discrepancy that may exist between the printed version of any documentation, and the electronic version published on this website. In the case of any discrepancy, the printed version will prevail over the website version. • This website may contain links to other web sites that we do not own or operate. RIOJA ALAVESA WINE ROUTE is not responsible for, these sites or their content, products, services or privacy policies. Any links on this RIOJA ALAVESA WINE ROUTE website are purely informative, unless we specifically state that this is not so. RIOJA ALAVESA WINE ROUTE reserves the right to unilaterally withdraw at any time any link that may be on this website. • RIOJA ALAVESA WINE ROUTE does not guarantee that access to this website will be error-free or uninterrupted, and nor do we take any responsibility for such occurrences. Similarly, we do not take any responsibility for, and nor can we guarantee, the content or software that may be accessed through this site, which may contain errors or which may cause damage. Under no conditions will RIOJA ALAVESA WINE ROUTE be responsible for any loss or damage, of any kind that may occur as a result of accessing and using this website, including, but not limited to, any damage that may occur as a result of any virus. RIOJA ALAVESA WINE ROUTE takes no responsibility whatsoever for any damage that may be caused to any user as a result of inadequate use of this website. The services offered on this website may only be used correctly if the technical specifications for which it has been designed are met correctly. • This website and all its content are protected by the laws of Intellectual Property. You may not copy, reproduce, distribute, retransmit, adapt, publish, modify, broadcast or distribute any Site Content in any way, including for any public or commercial purpose whatsoever, without our prior written permission. Access to this website does not constitute any form of right of ownership of the Intellectual Property of the Site Content. • RIOJA ALAVESA WINE ROUTE does not grant or transfer to any user the ownership of the software found on this website. The user is only the owner of the physical medium on which the software is recorded. RIOJA ALAVESA WINE ROUTE reserves all intellectual and industrial property rights, including the software. If any user transfers the software of this website onto another computer terminal, it may not be analysed or broken down for purposes of study, or decompiled, nor may the original software code or language be translated to any other code or format of any type. All Site Content, commercial and brand names, trademarks, logos, products and services contained on this website are protected under all relevant Copyright, Trademark and other applicable laws. 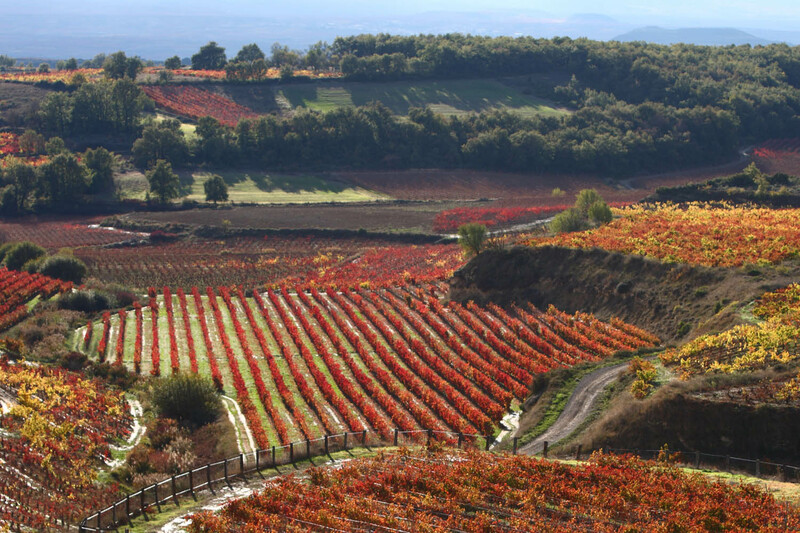 • RIOJA ALAVESA WINE ROUTE reserves the right to take legal action against any users who may infringe or violate any intellectual and industrial property rights. There may be various ways of collecting information about users on this website. The information that we obtain in this way will be used to reply to any correspondence from users, and may also be used to send commercial correspondence and/or information regarding our products and services by any means of contact that any user may have given us, only if we have previously obtained permission from the user by means of the user having ticked the corresponding box, thereby expressly giving us permission to do so. Should any user wish to contact RIOJA ALAVESA WINE ROUTE, and not authorise us to send any commercial information (unless this is the reason for contacting us) then the user needs only to let us know this in the comments box of the contact form. We hereby let it be known that any user who gives us any data or personal information does so voluntarily. All the information and contact details that we receive will be dealt with according to the confidentiality and security obligations as expressed in the Spanish Data Protection Act 1720/2007 and Royal Decree 1720/2007. Any information that we receive from users may be incorporated into a database belonging to RIOJA ALAVESA WINE ROUTE. Any information on any such database may be subject to automated treatment. In all cases, RIOJA ALAVESA WINE ROUTE, will have ownership of this information, and all rights of access, rectification, opposition, or cancellation of any such information must be exercised via RIOJA ALAVESA WINE ROUTE, in accordance with the applicable legislation. 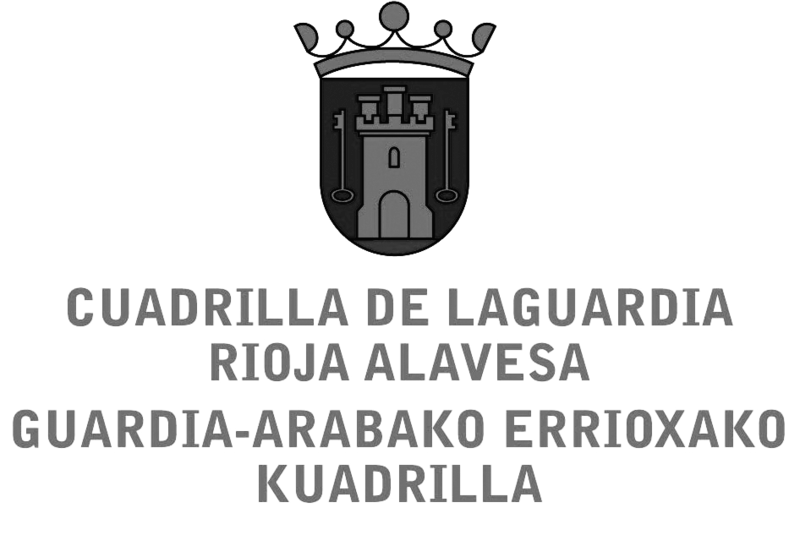 Authorisation and Consent: When a user has given any information for any reason, or during any contact through this website, the user thereby expressly authorises RIOJA ALAVESA WINE ROUTE to send the user information such as commercial and advertising material by ticking the corresponding box. If at any time the user would like to stop receiving this communication, then the user can let us know by sending an e-mail to us at info@rutadelvinoderiojaalavesa.com. In this case we will contact the user to confirm that we will not send any more communication in future. Visiting this website does not mean that the user is obliged to give any sort of information whatsoever, therefore any information that we receive is understood to have been sent voluntarily. Should we receive any personal information from any user, then this information will be used for the reasons given above, and always according to the applicable legislation, in this case the Spanish Personal Data Protection Act 15/1999. • RIOJA ALAVESA WINE ROUTE reserves the right to keep any data obtained from users even after any commercial or other relationship with the user may have ended, in order to comply with any legal obligations. • RIOJA ALAVESA WINE ROUTE is authorized by the user to make use of the personal data information that they have received, and to carry out any computerized treatment of such data as may be necessary to be able to give the service requested by the user. • Should the information received be used for any other reason other than that which the information was offered, then the previous consent of the interested party will be required. RIOJA ALAVESA WINE ROUTE has adopted the technical and organizational measures that are necessary to ensure that any information we receive is treated in a secure manner, and to ensure that such information is not altered or lost, or accessed or treated in any way that is not authorized. • When any information is about to be sent to us through this website, it will be made clear that such information is either voluntary or obligatory. If the information that is considered obligatory is not given, then we will not be able to offer, or the user will be unable to access, the service that is being requested. Similarly, if any information is given voluntarily, this will be so that we will be better able to deal with any request from any user. • Users whose information has been collected on a database have the right to oppose, access, rectify, or cancel this information freely, and to revoke the authorization of the sending of commercial or advertising material, without retroactive effect, as specified in, and in accordance with, the established legal procedure in the Spanish Personal Data Protection Act 15/1999. If you wish to verify, correct, or update any of your personal information collected through this website, please contact us by e-mail or by post to: RIOJA ALAVESA WINE ROUTE. MAYOR STREET 68, 01300 LAGUARDIA, ALAVA. Any user who provides any information is solely and ultimately responsible for the veracity or truthfulness of any such information, and for any modifications of any services we may provide as a result of the information provided. • RIOJA ALAVESA WINE ROUTE will not be held responsible for any possible damage or loss (either direct, indirect, consequential or other damages of any kind) that may result as a result of interference, omission, interruptions, computer viruses, telephone problems or disconnections in the operative functioning of this electronic system as a result of events outside the control RIOJA ALAVESA WINE ROUTE, nor for any delay or blocking of the present electronic system caused by any deficiency or overload in the Data Processing Centre, or of telephone lines, internet systems, or other electronic systems, nor for any other damages that may be caused by third parties by any form of illegal interference outside the control of RIOJA ALAVESA WINE ROUTE. Furthermore, RIOJA ALAVESA WINE ROUTE will not be held responsible for any damage or loss that may result as a consequence of errors, defects, or omissions in any information provided by RIOJA ALAVESA WINE ROUTE that comes from outside sources. • RIOJA ALAVESA WINE ROUTE as owner of this website, does not obtain or keep IP addresses or the domain name of your Internet Service Provider (ISP). Accessing this website will not mean placing any cookies on the user’s computer equipment. In the event of any cookies being placed, this will be specifically mentioned in our Data Protection terms and conditions, and we will also specify the reason for them.